There are many good buys waiting for you at garage sales. A bit of pre-planning can make it not only a fun, but also a worthwhile adventure. This is a guide about shopping at garage sales. 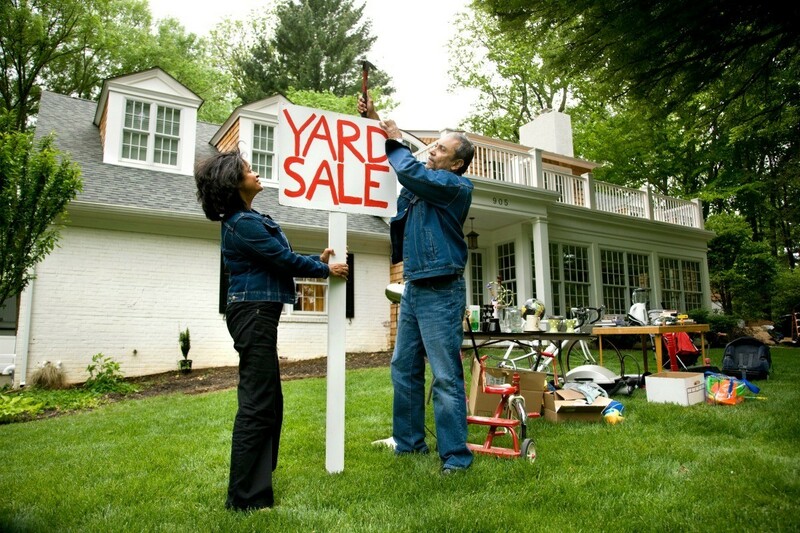 Buying at Yard sales is fun, but think about the following tips before you make that purchase. 1 Is it something that I'll use later? Excellent items for re-use are small baskets or containers in good condition which can be reused for gift giving. Never pay over $1-2. Gift wrap by the roll is often sold, as well as cards and good ribbon. Often gift wrap is sold that has never been or barely used. Pay no more than 50 cents to a dollar a roll and think of the money you'll save when it is needed. I keep on hand at least 10 or more rolls for different occasions as well as gift bags I have found. Buying "off season" items such as Christmas decorations is wise spending. A bag of ornaments you'd pay $1 for would cost ten times that much if buying at a store. Other wise buys are specially designed coffee mugs and tins. Re-use the mugs to make candles or use these to hold candy for a gift. Don't pay more than 50 cents to a Dollar for these. 2 Think before buying appliances--make sure they work of course and try to find out how long they've had them. I've purchased mixers that have lasted for years. Also ask yourself if you have the space to put them. Before we bought our new computer I picked up a few printers, scanners and the people said they worked. The thing to remember, if they don't have everything they need to run them they are a worthless buy. I lost money and cluttered a corner of the living room and eventually gave them away. Now that's WASTEFUL SPENDING! 3 Make yourself a list of upcoming gifts to be purchased and thing that persons that person likes or collects. This will help with future buying. 4 Grammas: I heard it straight from the horses mouth: New Moms don't want yard sale clothes for their new babies, and our taste is different than theirs. Don't waste money. This avoids hurt feelings and frustration. This is something I really had to work at! 5 When purchasing Household items or personal care items, good things to look for are: partially used bottles of lotions, shampoos and cleaning supplies. They sell cheap and come in handy for a backup supply. Picture frames, silver pieces, and nice bowls or platters are good purchases. When purchasing makeup be careful about buying used items. Mascara is definitely out! But you can find other good makeup and colognes cheap. 6 Wise purchases are something you really have a need for and you get at a really good prices. Occasionally you will stumble on them, and it's hard to pass on a really good buy, in this case. 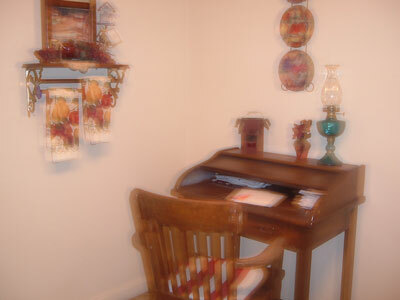 The photo I have included shows a small roll-top desk and chair I found for $10.00 at a yard sale. It needs some restaining but the folks were kind enough to deliver it and I'd had an empty corner in my kitchen for years and it is useful because I store important papers and bills in it, safely now rather than the basket I kept cluttered up holding them all. Spending wisely yard sales are a good means of buying things you'd ordinarily buy anyway, except at much higher prices. You know the old saying, "One man's trash is another man's TREASURE." 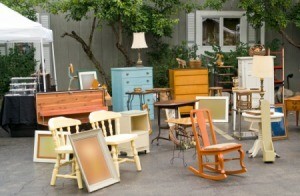 Be a smart yard sale shopper! Yard Sales are on during the spring and summertime. Honestly, yard sales are truly a money saving thing for me. I am a person who finds treasure in somebody's trash. Every year, I make sure I am informed of any place in our city who organizes a community wide yard sale. A few days before the scheduled yard sale, I make sure I list down what I really need to buy in an acceptable price range. For example, last Saturday, I started hunting down for a sleeping bag for our camping trip this summer, and my price range was from $3-$10. I stopped and checked few houses, when I finally found one sleeping bag which cost only $3. It was in good condition and apparently they sold it because it was too warm for them, which is indeed perfect for me. Another reason why I love yard sales is because I know I can find good stuff that I can give as a gift to a family or friend for many different occasions. Example, I bought 2 Emergency/Working light for $1 each. The woman who sold it, said it was all brand new. His husband bought plenty of those lights and somehow did not manage to give them all to his friends as gifts. So, isn't that great? I can give this brand new emergency light to my brothers on their birthdays. One brother will celebrate his birthday on July 13. I can't wait for him to see it, coz I know he wanted to buy one before. And lastly, babies and kids toys are common items in any yard sale. So, if you don't know how to pick and choose a good toy, then hire me. I found this toy drum set for my nephew (who says he wants to be a drummer boy). The lady who sold me the drums told me his kid outgrow most of his toys. She said the drum set was only opened on his 3rd birthday but he never had a chance to play with it since he has other toys to play with. And, guess what, I got it for $3. In store, I found out it was $25 for a set. My nephew will be turning 3 yrs old this July 25 and I am positive, he will enjoy my gift! So the next time you see a yard sale sign, don't think of it as another man's trash. Rather, think of it as a money saving store. Who knows you might find an expensive treasure inside those dusty and crowded boxes! Some seven years back I managed to collect a lot of matching rolls of Fablon, all from different boot sales. I paid no more than 30p per roll. This enabled me to decorate my half-tiled small kitchen for less than the price of one roll of washable paper! When going to yardsales, bring some slightly colored sunglasses (amber). It will show all the stains on cloth that you can not see with the naked eye. I love garage sales, but I also like saving my money on junk. I always take my iced water along for days when the weather forecast calls for hot, humid weather. It is also good to keep a tape measure and bungee ties in the car for measuring items and hauling them away. The last day of a yard sale is a GREAT day to buy LOTS of stuff. 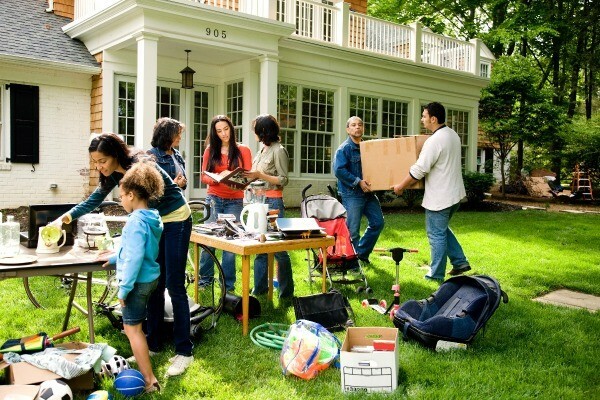 Being an avid yard sale shopper, I have had it proven over and over that, on the last day of a yard sale, the person or group of persons are VERY motivated sellers. Check out your local yard sales before going to a second hand store. You can usually get a better deal and find more gently used products. Especially near the end of a yard sale, you can usually negotiate a lower price. Also the best yard sells are located in the suburbs. 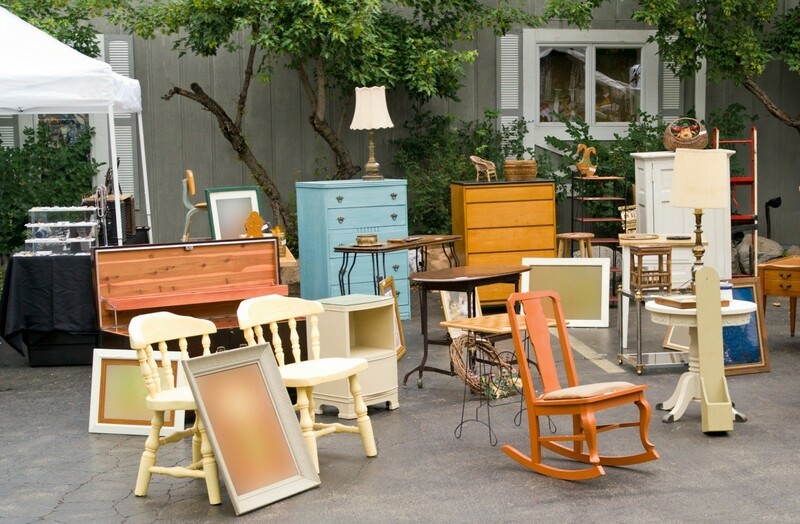 If you count yard-saling as an integral part of your thrifty lifestyle, you need to approach it with the same organizational skills you'd approach any other undertaking. One of the ways I've found to get the most from yard sale season is to make a list of "wants". 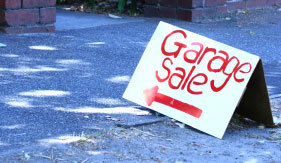 Modern technology can make mapping out your route for yard sale stops simple and streamlined. This is a guide about mapping my garage sale route. Tips from our readers about shopping at garage sales. Post your ideas below! Visiting yard sales can be especially fun and often profitable for collectors. My mom collected tea pots, and I have friends and other relatives who collect knives, old fishing hooks, lures, and other tackle, etc. If you are interested in any sort of collectible item the most important thing is to know all you can about your subject. It is amazing how often people sell items with no idea what they're worth on the market, and that plain old fishing lure or pocket knife being sold for a dollar might be quite valuable. Also, original packaging is often important and can increase the value of an item considerably. We sometimes have up to 100 yard sales on a weekend advertised in the newspaper. We clip out the ad and highlight the ones that interest us. We have a city map that is laminated. We take the list and a marker, and mark the location of each yard sale we want to visit. Then we map out the most efficient route and number each location. Eliminates discovering that the 5th yard sale on your list is half a block from the first one you visited. My favorite thing to look for at yard sales is silver trays, candle holders, etc. I have a huge tote filled with those items and in helping friends and family decorate for weddings, etc. they have really made the food table look elegant. No one knows they came from a yard sale. A friend of mine told me about a lady in Lexington, KY who has a huge garage/consignment sale twice a year (Spring and Summer/Fall and Winter). She has regular clients who bring her baby and children's clothes, toys, accessories, etc. She will not take anything stained, torn or dirty, all in top notch condition. They must be tagged individually and ready to sell on hangers, with a list compiled of what was brought. She runs a newspaper ad and makes money helping other women sell their quality used clothes, etc. After the sale, the client must return to pick up their items and money . Thought I'd share this with you so that others can do the same. Bring cash to garage sales so that you can bargain. Make sure to bring some change and small bills, too. They won't always have a lot of change. My mother and I use to believe that we would find higher quality items or better bargains from garage sales in the area's upper income neighborhoods. We found out that their items weren't any better and were priced much higher than they should have been. Coordinating: I make a list of things that I and other family members want/need and keep the list in my purse/car. When going garage saleing with others, we exchange lists so we cover more territory. When going to a town wide garage sale, my hubby and I split up and carry a set of walkie talkies to let the other person know when something interesting is found, a GPS will also work to mark the spot at a fleamarket. Supplies:Put a deep carry bag in the car so you don't have to keep making trips back to the car every time you buy something. Also carry a small measuring tape with you and a list of sizes for the mattress, table top, clothing, etc. Put a spare screwdriver and pliers in the car in case you need to take something apart to make it fit in the trunk. Might as well throw in a rope too! Best Buys: Church rummage sales and garage sales put on by organizations. Logic: people don't have a "vested" or emotional interest in the items, they only want to move the goods and get the money. These are people you can dicker with! Bargaining: Instead of running down an item or saying "I'll give you $... for it", I chit chat a bit with the seller and crack a small joke or two. If I want to get an item for less money, I ask "would you accept $... for this?" If they laugh at your jokes, they'll come down in price. It's never failed me yet! Avoid Confusion: If someone is willing to come down on the price, pay them on the spot and stick the item in your car or one of the seller's bags. This will save confusion and problems over the price later if there are a number of other people at the sale doing the same thing. Please make your sale look presentable. If you sit all of your unpacked boxes out and throw some stuff on a blanket, don't wonder why people keep driving by and not looking. Separate clothes in sizes if possible. Clean your treasures; you'll make more money. Don't put out things that even Goodwill wouldn't take. I personally have never found anything worth buying in our nicer neighborhoods. Those people normally do not go to yard sales. Therefore, they don't know how to have one either. They may have a shower curtain priced for $20 when the most we would pay at a yard sale is $5, and that is if it is in exceptional condition! Price your stuff for goodness sakes. Nobody wants to ask twenty times the price of every item! If you find something at a store not priced, more than likely you don't get it because the price is the deciding factor. Don't go yard sale-ing with all $20's. Take smaller bills and change. Last, but not least, don't try to talk them down on their price at 7 a.m. This is more for the people having the sales. Please take your signs down! I hate chasing down a sale only to find out it was from the week before. Something I've noticed people doing at sales I've held is that they will pick up several items and continue to walk around. Of course I'm thinking I've made a sale on the items. But then a few minutes later, I'll see them walking away empty handed. I finally figured out they were still deciding on the items as they shopped, but then decided not to buy. It is aggravating when it's your sale because maybe someone else would have bought it if it had still been on the table. There have also been times that I've missed out on something I may have wanted because I didn't have it in my hand and someone else scooped it up. I've learned to apply the technique myself, as well as to watch the other person who is carrying around something I want, they may end up putting it down after all. Approaching the garage sale, I scan it quickly and make a bee-line for the collectible type items first. I always pick up and hold on to anything I even think I want. I always like to check out the books but save that for last. I also look at the children's clothes right away as I have young children. My children wear a lot of garage sale clothes and they always look nice! So, check out the items of interest to you the most, first! Also, nice used children's clothes sell very well on eBay, especially girl's clothes! Take a tape measure, a list of what items you are looking for/needing, sizes, etc. Leave the kids with the sitter. In my experience, kids and sales don't go together. I see nothing wrong with using nice, like new garage sale items as gifts. Santa has given our young children many wonderful items that came from garage sales and many were brand new, never used! I find things all Summer that I can use for Christmas, Easter baskets, etc. Sometimes I buy little cheap items to use as incentives and rewards. Go early, or late, depending on what's more important to you, price or selection. Lots of churches and community organizations will lower the price to half at a certain time or have "bag" sales. The early birds might catch the prize but the latecomers might get a better price. Always take plenty of small bills and coins. You don't want to ask someone to lower their price then hand them a large bill asking for change. "Zoom in" for items of special interest to you, then look at the rest of the items so you don't miss out on what you really need. Always be respectful of the people's items and of them, they don't have to lower their prices, it's their choice. Fair price has a different meaning to everyone. If you go for the duration, take a bottle of ice water and sandwich or a snack so you don't end up spending your savings on lunch, lol! I have been a garage sale addict for years, but something just dawned on me, so I need to share it with you. Rule Number One: Don't buy what you don't need. Rule Number Two: Hit the ones in the nicer neighborhoods first. Rule Number Three: Go very early, and then go very late. The earlier you get there the better the pickin's. The later you go, the better the prices. If I can't find your sale easily, I'll give up hunting for it. Give me arrows (on the same color paper you used for your main sign) to show me the way every block or so. (if you don't live on the main street). Rich neighborhood or poor, in my opinion there isn't that much difference in prices. I've found fantastic deals in both areas. I tend to search the rich neighborhoods first because the items they get rid of tend to be under used. Then I'll hit the other neighborhoods. I still find treasures there too. The tip about don't buy what you don't need is so true. Just because it's cheap, it will just add to your clutter if it's not something you can immediately use or give away to someone else. 1. Bring a fanny pack so that your hands are free. 2. Bring along a small tape measure. 3. Have sizes of your children (winter boots, coats, clothes), windows, etc on an index card in your fanny pack. 4. Carry a canvas tote if you are walking a neighborhood sale to carry your small items around. I have much better luck at average homes(and trailers), people just want to get rid of it. Wealthy homes have high prices and almost always have remodeling items(they don't want to pay to remove it). The best are certainly church sales! They usually give you a great deal, and its a good cause, so you can give a little extra!